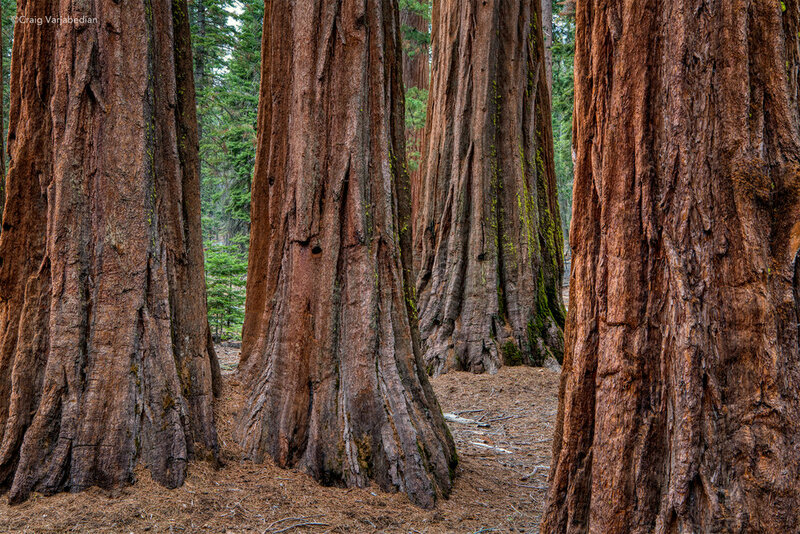 Yosemite—just the name inspires a sense of awe. Ansel Adams cut his teeth as a photographer there and it is a place where he found his powerful artistic voice. Yosemite is a place of incredible beauty and one that definitely does not disappoint. It is absolutely a photographer’s paradise. Join us for an unforgettable expedition into the heart of the American West’s first and arguably most magnificent national park. Photographing the iconic monoliths of El Capitan and Half Dome is always an adventure as you literally walk in the footsteps of Ansel Adams beside the Merced river in Yosemite Valley. You will be surrounded by 3000 feet of vertical granite, towering redwoods and mountain vistas that are simply indescribable. 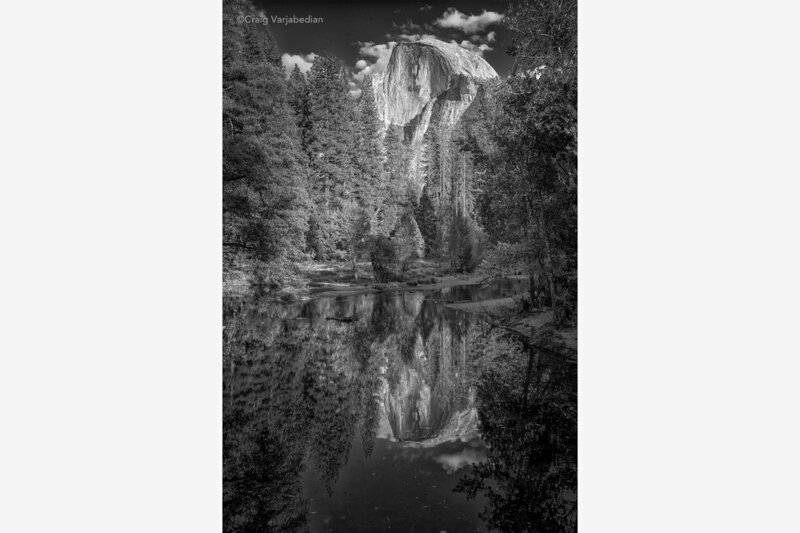 This workshop will be guided by award-winning photographer Craig Varjabedian who has spent over 40 years photographing Yosemite National Park. Our workshop will base out of Yosemite Valley with workshop participants nestled in the midst of the historical park all within the shadows of both El Capitan and Half Dome, monolithic land forms that tower above. 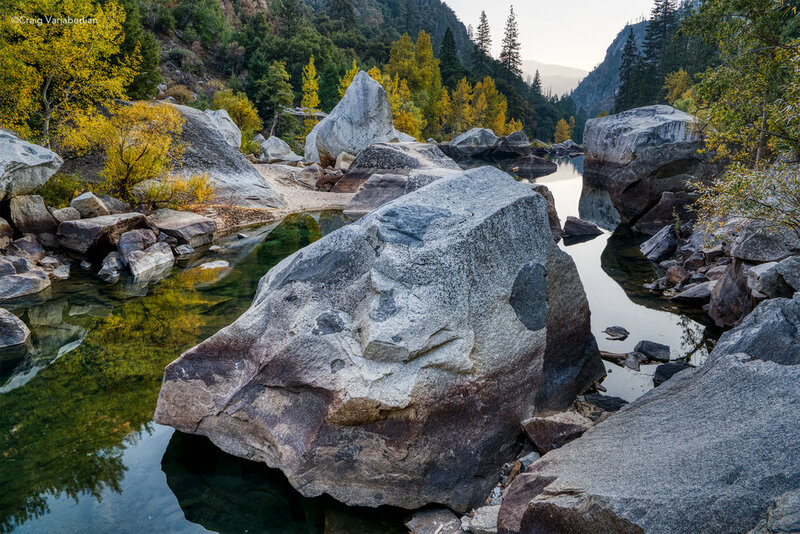 With hiking trails, the famed meadow and the Merced River right at our doorstep this photographic journey will be an opportunity to fill every waking moment with incredible images of Yosemite. This workshop experience will include many scenic photo opportunities such as Mariposa Grove, home to Yosemite’s Great Sequoias, trips up Glacier Point Road overlooking Half Dome and of course the breathtaking “Tunnel View” vista which encompasses the entire valley with its impressive light, waterfalls, and the rock formations—El Capitan, Half Dome and the Cathedral Group—everything that is magical about Yosemite Valley. 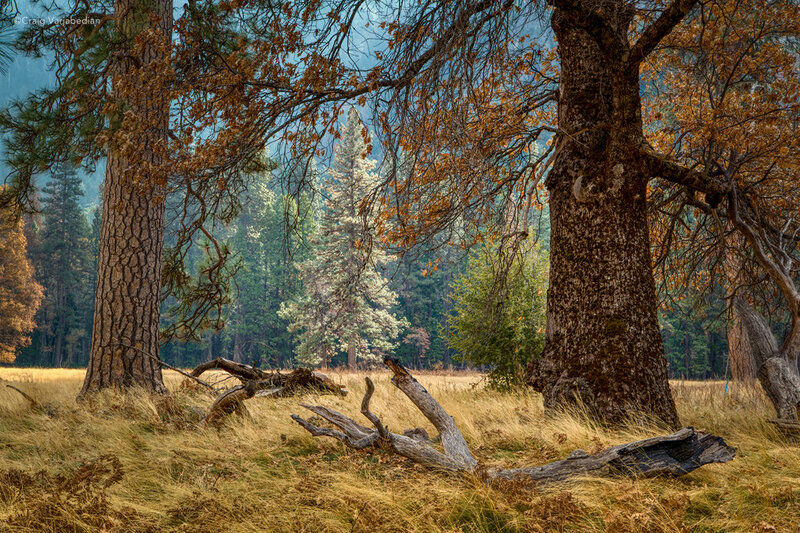 While Yosemite is famously beautiful no matter the season, Eloquent Light has purposely chosen late Autumn to offer this workshop—providing photographers a unique atmosphere within the park that encourages quiet contemplation with few visitors to distract. 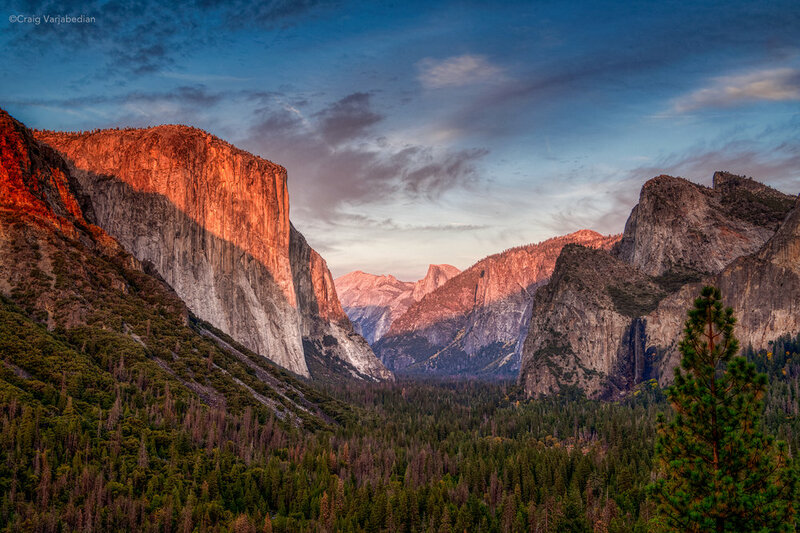 Our workshop will experience Yosemite as it is meant to be, allowing the essence of the place to truly reveal itself. In this workshop you will receive one-on-one instruction in the field, on technical and aesthetic issues. You will come to understand the many aspects of digital photography like histograms and be introduced to HDR. In order to provide premier one-on-one instruction this workshop is limited to six participants. This workshop is a terrific for all digital photographers who are essentially familiar with their cameras. You should be able to download, edit and manage images on your laptop computer. You need to be able to carry your own camera gear and tripod and be capable of walking and light hiking on trails of varied terrain. You will need to know, before you get here, how to set and use auto bracketing on your camera, if your camera has this feature. 1. Bring your digital camera with lenses, a tripod and polarizing filter. We recommend a camera backpack, which works well for field workshops. 3. Bring something to take notes with. For some a computer keyboard works well. Others use pen and paper and/or audio recorders. 4. Write down a a one-sentence statement about what you would like to accomplish during the workshop. 5. Expect to meet interesting photographers who share similar passions and interests, who will see things from new and different perspectives. 6. Come with an open mind. This is probably the MOST important thing to bring to any workshop. 7. It is our wish that this workshop will exceed your expectations and that you will leave us feeling more focused, confident and inspired. All photographic instruction in the field, location/entrance fees and last night celebration meal. While our staff will be staying at Yosemite Valley Lodge, you can stay at a variety of places within Yosemite Valley proper. We highly recommend you purchase travel/trip insurance just in case. There are several companies and credit card companies that provide this service. We recommend Roam Right for trip insurance. Have any questions, suggestions or concerns? Feel free to contact us at any time—we will be more than happy to help! Call Workshop Manager and Director of Karmic Activity Cindy at (505) 983-2934 or email . Craig Varjabedian, the founder and main instructor at Eloquent Light, is an award-winning photographer who explores the back roads of the American West, making profound pictures of the land and the people who live on it, telling stories. . . one photograph at a time. A gifted teacher, Craig has taught photography to people from around the world for over thirty years. “It was an absolutely wonderful trip. What a revelation Yosemite is! And you got us to the best photographic locations. Your enthusiasm helped make the experience tremendous fun. Likewise, your detailed knowledge of the park helped us make the most of the scenery, great weather, and photo ops. I came away with an even deeper appreciation for the park and Mother Nature. I also greatly valued your input on photo hardware, software, and printers. Those conversations were extremely useful as well.